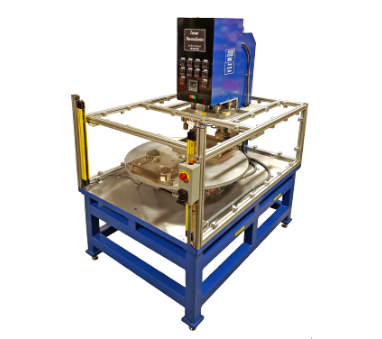 We are an innovative, full service manufacturer of high quality, affordably priced thermal and ultrasonic assembly machines, accessories and supplies designed to meet the thermoplastic assembly needs of the plastic product engineering industry. 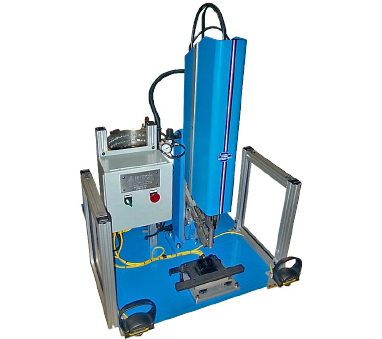 Pneumatic Film Feeders & Welding Film to protect your parts during assembly. 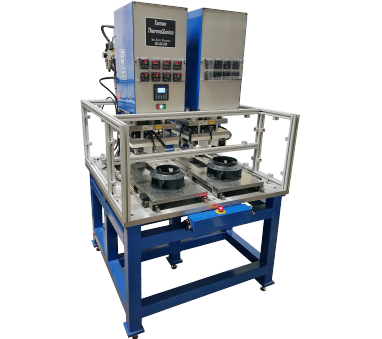 Toman ThermoSonics custom designs and manufactures thermal press machines, or heat staking machines, for precise assemblies. 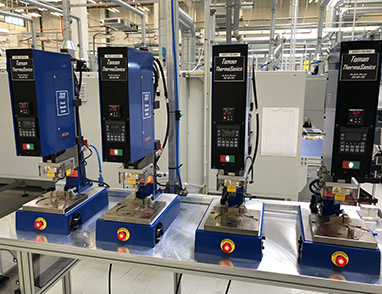 Each machine’s process accurately controls time, temperature, pressure and cooling for optimum component assembly – no matter the size of components being staked together. 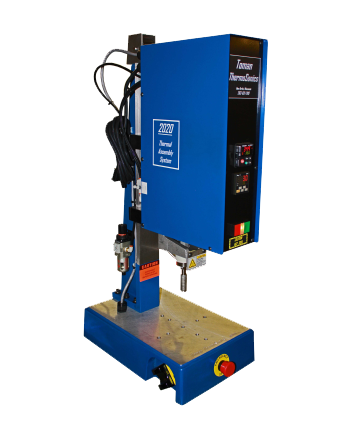 Toman is the industry leader in design of manual all the way to fully automated heat staking, or thermal press, equipment. Contact Toman today for your custom evaluation and quote. 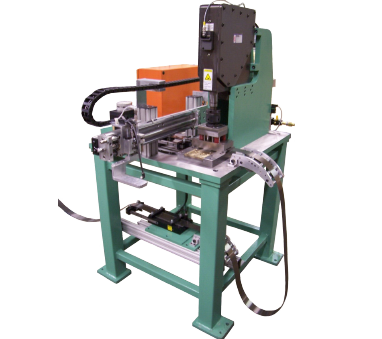 Thermal press machines, frequently referred to as heat staking systems, are designed to permanently bond several separate parts into a complete assembly. 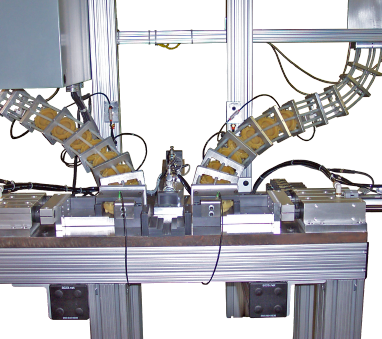 The technology is a very reliable assembly method that offers a number of advantages over other bonding processes. 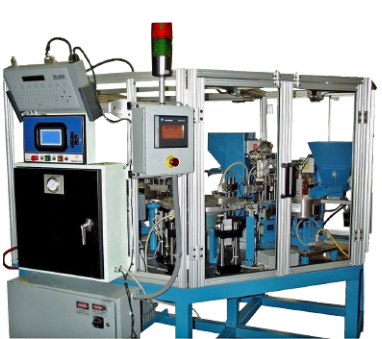 Low thermal press machine cost, long-lasting tooling, stronger bonding and quiet operation are but a few of these system’s benefits. 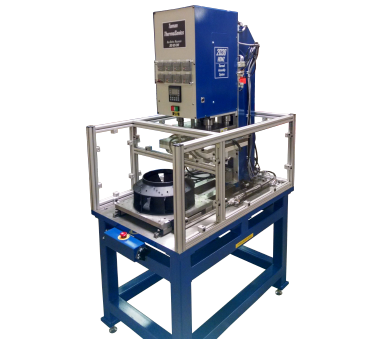 Once the benefits of heat staking, or thermal presses, are well understood, developing a solid part design and selecting the appropriate piece of thermal press equipment to do the job is the next step. Learn more about each of the important aspects of selecting equipment and tooling for specific applications. 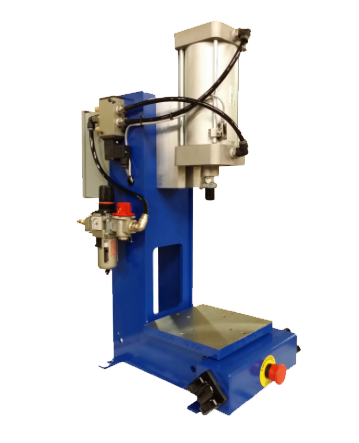 This section of our site offers information about insertion and heat staking and thermal press machine specifications, insertion, rotary and slide tables, embossing and more. Understand the specific characteristics of each type of equipment, from bare bones units, to fully automated systems, tooling and automation accessories. 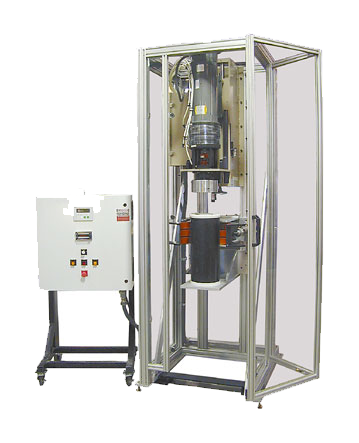 Find specifications for thermal press machine systems, pneumatic and hydraulic presses, and ultrasonic tooling. 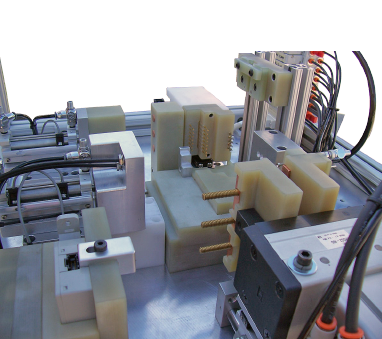 Toman ThermoSonics has a combined experience of over 75 years designing and building semi- and fully automated custom production systems. 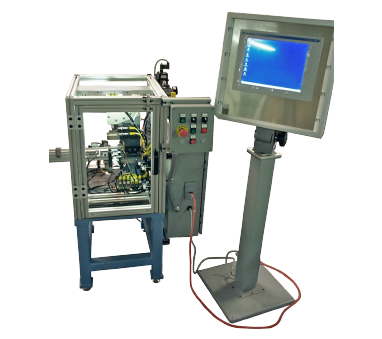 From laser marking, degating and assembly systems to Multi-Zone Thermal Press Machines and Heat Staking and heat sealing systems, Toman has the ability to provide all necessary mechanical, power and control system designs to efficiently automate assembly processes involving thermal-based solutions. 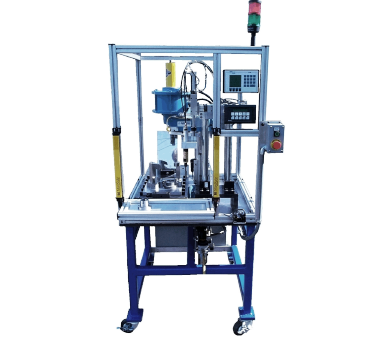 A thermal press machine, plastic heat staking equipment or heat staking machine, is used as a fastening process to mechanically assemble two components together. One of these components needs to be made of plastic. In the thermal press machining process, the plastic workpiece has a “boss”, or protruding stud, while the second component has a hole that receives this stud. While placed in the thermal press machine, high temperature and force are applied to deform the stud and create a stake. This stake then retains the second component, eliminating the need for rivets or screws that can become faulty and break over time. After the formation of the stake, cooling the plastic ensures component bonding. Several configurations of plastic boss designs are available, each with specific features and advantages. 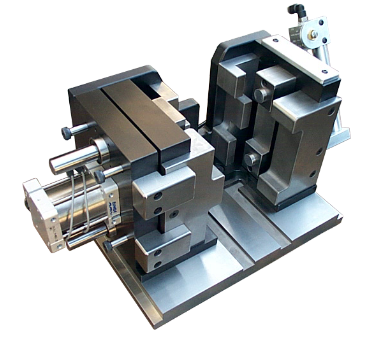 The selection of a heat staking plastic boss is determined by such factors as: composition of the plastic, component geometry, final assembly requirements, machining and molding capabilities and cosmetic appearance. Proper design of this component will produce optimum strength with minimal flash. Have one of our associates contact you. 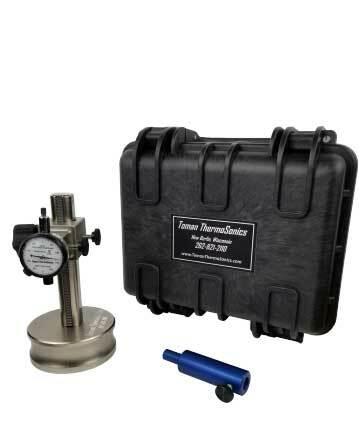 Learn about Toman Thermosonics latest news regarding products and services. © 2019 Toman Thermosonics, Division of Amtech Tool & Die Corporation. All right reserved.